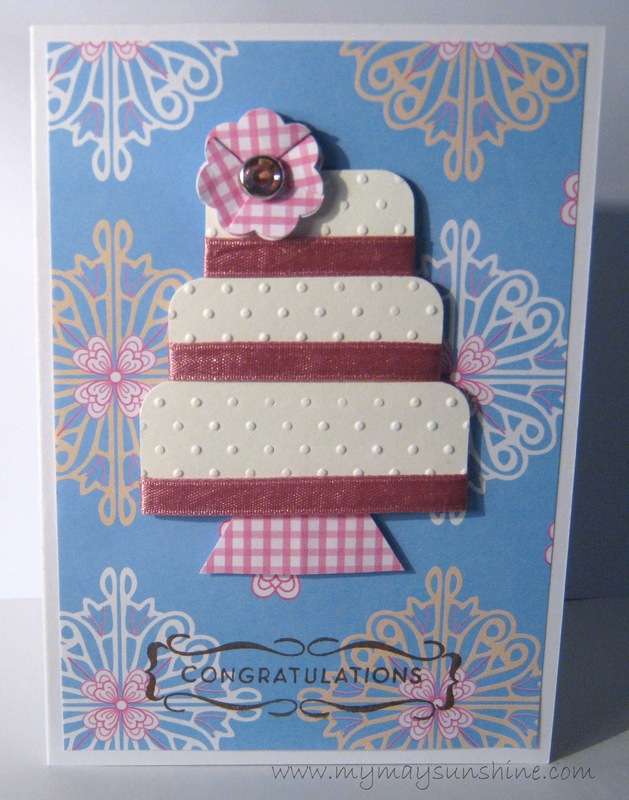 This is a card that I made for a wedding reception we went to recently. I seem to us the same template for all the wedding cards that I make, the cake and the flower and just change up the colours and papers. To make the cake I just ran a piece of white card through the swiss dots embossing folder and cut 3 pieces which were slightly different sizes. Then I just rounded the corners of the pieces and assempled the cake and added the ribbon. The flower is made from 5 1″ flower punch shapes, which you fold four pieces and stick half on top of the previous piece if that makes sense. The stamp is from American Crafts enjoy stamps. Well I cannot believe we are November already and the clocks here in the u.k have gone back an hour and on halloween. It will be christmas before we know it. Ha. Previous Post Items added to Folksy Shop. Next Post Christmas is coming….. fast.